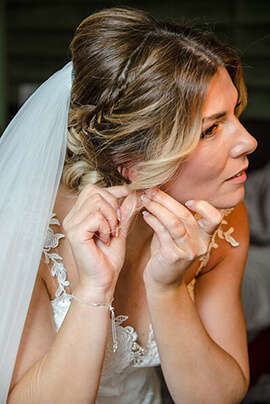 Your wedding day is a unique expression of you and the right hair and makeup is essential. 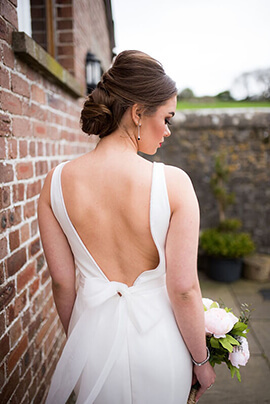 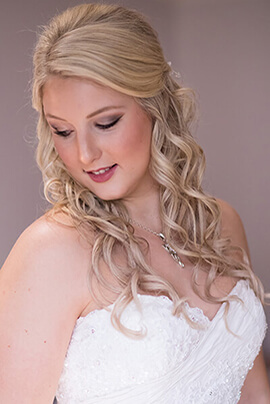 We provide a professional, award winning makeup and hair service which means you can rest assured your big day is in safe hands. 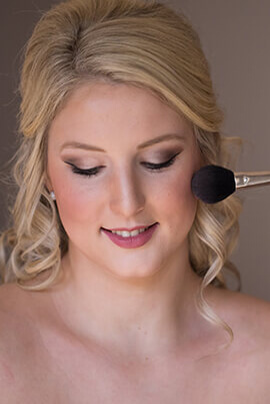 We advise having a makeup/hair trial prior to your wedding which lets us perfect your ideal look. 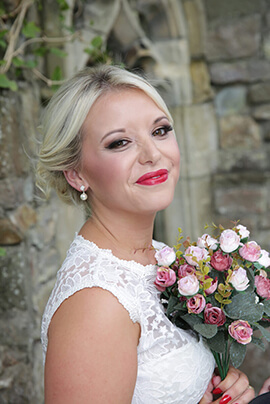 As professional, award winning makeup artists with a wide range of experience of weddings throughout Wales, you can rest assured you're in safe hands. 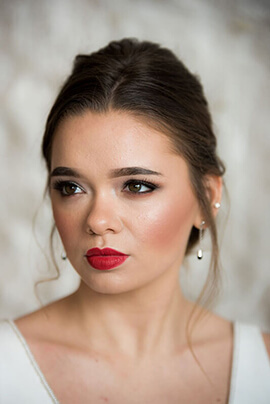 We have worked on numerous weddings and this experience means your makeup will look great both in person and fantastic in photographs (checkout the gallery). 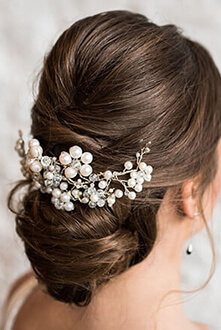 There is definitely an art to striking the balance just right. 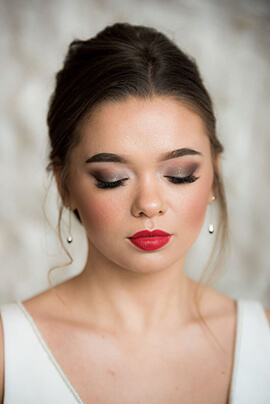 We will work with you during your makeup trial to perfect the ideal look to suit your wedding - whether that's natural, vintage or glamorous. 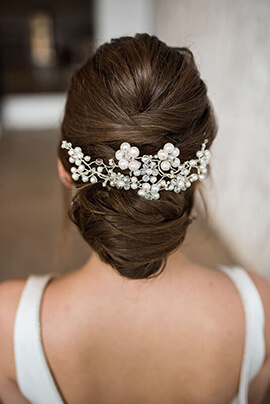 Having beautiful hair on your wedding day is an absolute must. 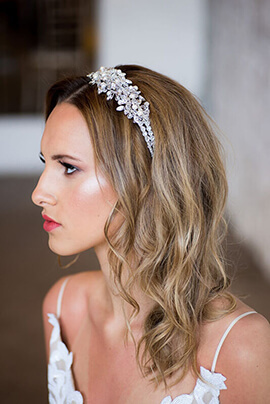 Whether this is a classic up-do, relaxed curls or a vintage bun we will discuss your ideas and accessories whilst trying out different looks. 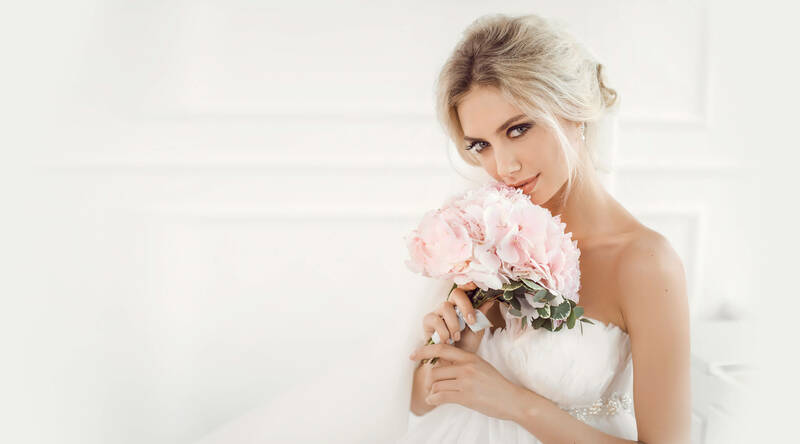 We advise you book a trial prior to your wedding day. 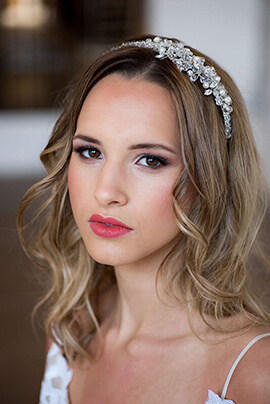 This enables us to work with you to achieve the ideal look for your hair and makeup.